The entrance to this luxury home begins with a 8 foot high glass doors with wrought iron crested grills leading to a dramatic marble foyer with 6 point crystal chandelier with medallion, heavy millwork, deep crown moulding and wall sconces. The two storey great room features a dramatic 19 foot two sided cast stone fireplace, coffered ceiling with pot lighting, a full wall of nearly floor-to-ceiling windows across the back of the home flooding the room with sunshine, and access to a spacious covered backyard porch with lighting and sound. Featuring a wonderful eat-in gourmet kitchen by Downsview complete with servery, two eight point chandeliers and secondary scullery overflow kitchen to help handle the load of a large party with nearly floor-to-ceiling cabinetry, punctuated by Statuario marble counters and backsplash and the finest built-in appliances that Wolf, Miele and Sub-Zero have to offer. The family room features site finished hardwood flooring, two sided gas fireplace with granite surround, coffered ceiling with pot lighting, sixteen point crystal chandelier and storage room. Enter the main floor den through glass pocket doors which features two walls of rich Mahogany built-ins with gas fireplace, glass display cabinets, coffered ceiling with eight point crystal chandelier with medallion. Enjoy entertaining in the separate dining room with coffered ceiling, crown molding, 16 point crystal chandelier, and four wall sconces and sound. The mud room with secondary front door and access to the three car garage and powder room complete the main level. The splendor continues on the second level with plaster patterned ceiling details as the ornate skylight floods the landing with natural light. Spacious master bedroom featuring vaulted trey ceiling, built-in sound and French doors to a wonderful balcony. The master dressing room is fully outfitted in floor-to-ceiling custom cabinetry. The sumptuous master ensuite features heated flooring, his & hers marble vanity under mount sinks, deep soaker tub, seamless glass shower with separate wand and body jets, separate water closet with bidet, two eight point crystal chandeliers with medallions, two wall sconces and heated marble tile flooring with inlay. The remaining three bedrooms are very spacious each with vaulted trey ceilings, ensuite three piece baths and walk-in closets. The bright and beautifully finished laundry room completes the second level. The fully finished lower level includes radiant in-floor heating throughout, plenty of LED pot lights, oversized walk-up to the back yard, deep windows, games room, custom home theatre with seating and acoustic paneling, wine room, exercise room with 3 piece ensuite, 5th bedroom with three piece ensuite, second laundry room, and a 2 piece powder room. The home comes equipped with a security system, security room with massive safe built into the foundation, built-in sound in all principal rooms, exterior lighting, outdoor fire place, Kohler Power System backup generator. The fully fenced pool size yard with in ground irrigation system, 3 car garage, central vac and central air complete this wonderful family home, protected under a full Tarion warranty. This magnificent home with illustrious finishes is ideally located close to the fine shops and restaurants of the town’s downtown core. 30 minute commute to the heart of downtown Toronto. 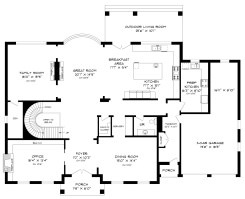 8,792 sq ft of total finished living space.